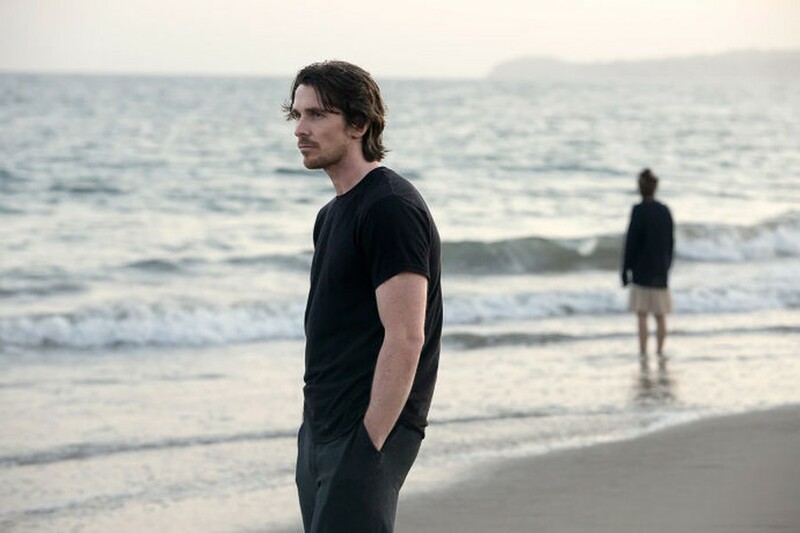 Rick (Christian Bale) is at the foreground of Malick’s latest landscape. In the world of cinema, despite its magnitude, there are few filmmakers who have established a voice as unique as it is inimitable. Included in this elite coalition is Terrence Malick, whose Knight of Cups was released on March 4 in select theaters. Since Badlands (1973), Malick has created some of the dreamiest pictures of the last several decades. He is renowned for emphasizing the natural background as a metaphor for his characters’ emotional states. Because of the surreal temperament of his work, Malick’s films are an acquired taste, with detractors arguing that the filmmaker focuses too heavily on visuals at the expense of narrative. Malick’s newest work will certainly not sway doubters and could possibly even turn off fans. Yet for the filmmaker’s biggest devotees (a group this writer happily subscribes to), Knight of Cups is an ocular paradise that features quintessentially Malickian themes of tragedy and romance. Much like The Tree of Life (2011) and To The Wonder (2013), Knight of Cups is told nonlinearly and experimentally. It focuses on Rick (Christian Bale), a screenwriter who wanders through Hollywood struggling to find comfort in his family and attempting to find love through a revolving door of women. Expressed through a Godardian episodic structure, the film is segmented into eight chapters, each titled after a different kind of tarot card. Characters briefly appear and disappear with supporting roles played by Cate Blanchett, Antonio Banderas, and Natalie Portman, as well as brief cameos by Nick Offerman and Cherry Jones. Malick’s chopped narratives leave room for multiple backstory possibilities, making the plotline enigmatic. Yet unlike The Tree of Life or To The Wonder—or any previous Malick picture, for that matter—Knight of Cups is not set within the colorful backdrops that have defined such pictures as The Thin Red Line (1998) and Days of Heaven (1978). Rather, it is set in the industrial playground of Los Angeles—a startling move, given that Malick typically strays away from the Hollywood-blockbuster ethos. Yet Malick finds beauty within L.A., capturing its desert plains and illustrious shorelines as well as the concrete jungle that dominates the city. It’s a testament to Malick’s direction, as well as cinematographer Emmanuel Lubezki’s eye, that the film can bring out the splendor of bare parking lots and cluttered roads. It’s through this scenery that Malick illustrates the dual nature of Hollywood, contrasting the luxury and glamor projected on screen to the bitter reality that roams the streets of L.A. Rick acts as a representation of his home city: he lives a colorful lifestyle, bouncing through nightclubs and inviting strippers back into his luxurious apartment, yet he is unfulfilled by such superficial pleasures and desires. In a way, this is Malick’s interpretation of Italian filmmaker Guido Anselmi’s fantastical 8½ (1963), underscoring the juxtaposition between fantasy and actuality. Repeated viewings will undeniably shed new light upon Malick’s intentions, and I’m convinced that Knight of Cups will resonate for quite some time. Knight of Cups is similar to Charlie Kaufman’s Synecdoche, New York in that it takes apart the consciousness of an artist, scrutinizing the personal and emotional events that define an individual. Hopefully, like Synecdoche, Knight of Cups will garner a greater appreciation in future years, when audiences rediscover its eloquence and articulacy.